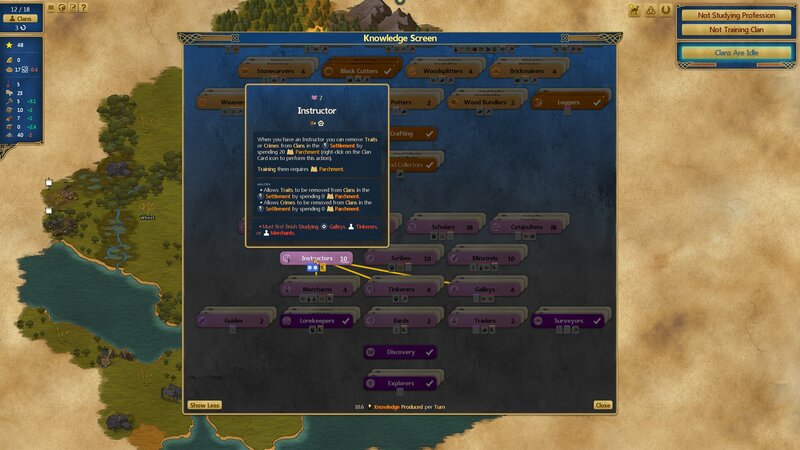 The tooltip for the instructor says it costs 20 Parchment to remove a trait, below it says 0 Parchment and after research in the Clan window it says 50! Thanks goodness I am not the only one, same exact issue in my game. Researching Instructor unlocks the ability to remove traits, but do not have to have a trained instructor. All traits require 50 Parchments to remove.